George is a postdoctoral scholar who joined the Gorodetsky Group in May 2015. He graduated with a Ph.D. in Chemistry from the School of Advanced Studies of the Romanian Academy (SCOSAAR). 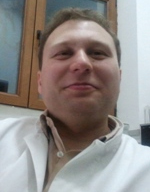 Prior to joining the Gorodetsky Group at UC Irvine he was a researcher in the Department of Inorganic Polymers at the Institute of Macromolecular Chemistry "Petru Poni" Iasi. 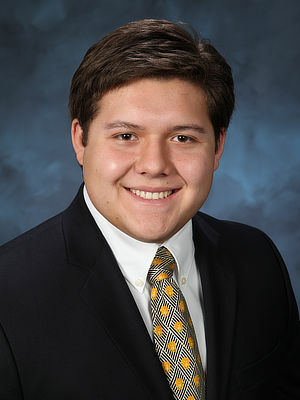 His current research focuses on electroactive elastomers and polymers with an emphasis on dielectric elastomers. 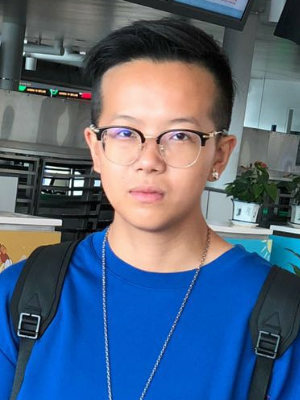 Zhijing is a postdoctoral scholar who joined the Gorodetsky Group in 2017. He graduated with a Ph.D. in Nanotechnology and a M.S. in Condensed Matter Physics from the University of Trieste, Italy. 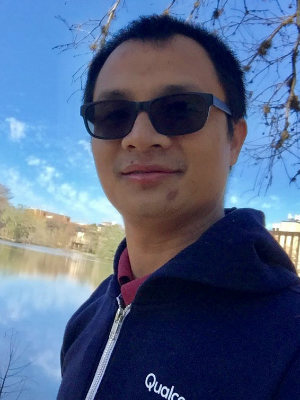 During his Ph.D. Zhijing studied 2D homo- and hetero-organic molecular architectures and 2D materials on surfaces by scanning tunneling microscopy (STM) and photoemission spectroscopies. 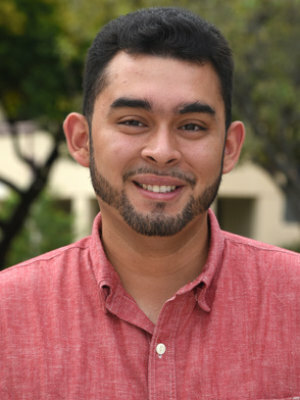 His current research focuses on the development of novel infrared camouflage and reconfigurable biomimetic shapeshifter technologies inspired by the skin of cephalopods. 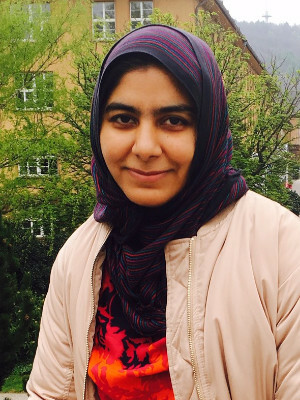 Aleeza is a postdoctoral scholar who joined the Gorodetsky Group in February 2019. She was a postdoctoral researcher in the Leibniz Institute for New Materials, Saarbrücken, before which, she graduated with a Ph.D. in Chemistry from the Max Planck Institute for Polymer Research, Mainz, and an M.Phil. and M.Sc. in Organic Chemistry from the University of the Punjab, Lahore. During her Ph.D., Aleeza worked on directing axonal growth from neuronal stem cells via spatial, light-induced changes in the material properties for applications in neural regeneration therapeutics. Her current research focuses on the fabrication of bioelectronics devices. 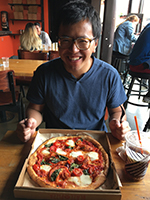 Nam is a postdoctoral scholar who joined the Gorodetsky Group in February 2019. He graduated with a Ph.D. in Industrial Engineering and Manufacturing from Florida State University. During his Ph.D., Nam worked on designing and fabricating multifunctional composites and advanced sensors for manufacturing. His current research focuses on the development of biomimetic shapeshifter technology and personal thermoregulation technology. 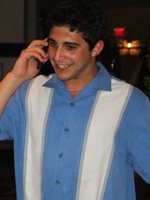 Mehran is a graduate student in Materials Science and Engineering who joined the Gorodetsky Group in April 2013. He graduated with a B.S. in Chemistry and Biology from the University of California, Irvine. Previously, he worked on the synthesis and applications of quinoline-based materials. His current research focuses on the synthesis and characterization of highly ordered bio-inspired nanostructures. Erica is a graduate student in Chemical Engineering who joined the Gorodetsky Group in September 2014. She graduated with a B.S. in Chemical Engineering from the California Institute of Technology. Her current research focuses on the design and fabrication of dynamic optical and thermal materials. 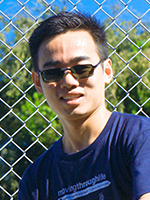 Chengyi is a graduate student in Materials Science and Engineering who joined the Gorodetsky Group in August 2015. He graduated with a M.S. in Polymer Chemistry and Physics from Hefei National Laboratory for Physical Sciences at the Microscale, University of Science and Technology of China (USTC) and a B.S. degree in Chemistry from the Special Class for the Gifted Young, USTC. Previously, he worked on smart actuators and sensors made of electroactive polymers. His current research focuses on the development of infrared camouflage and reconfigurable biomimetic shapeshifter technology. Vivek is a graduate student in Materials Science & Engineering who joined the Gorodetsky Group in October 2016. He graduated with a B.S. in Materials Science and Engineering from the University of Washington. His current research focuses on bioinspired materials and bioelectronic devices. 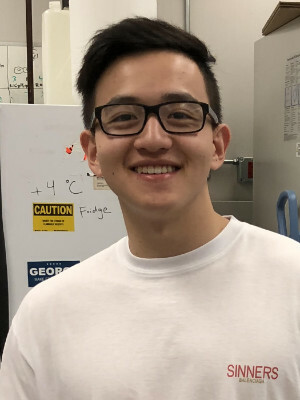 Melvin is a graduate student in Chemistry with a concentration in Chemical and Material Physics (ChaMP), who joined the Gorodetsky Group in February 2017. He graduated with a B.S. in Chemistry from American University. His previous research was done at the National Institute of Standards and Technology (NIST) developing nature inspired flame retardant coatings for textiles and foams. He is a National Physical Science Consortium Fellow. His current research focuses on personal thermoregulation technology and reconfigurable biomimetic shapeshifter technology. Atrouli is a graduate student in Chemical Engineering who joined the Gorodetsky Group in April 2017. She graduated with an M.Eng. in Biomedical Engineering from Cornell University and a B.S. in Chemical Engineering from UC Berkeley. Her current research focuses on studying the stimuli-dependent aggregation behavior of reflectins. 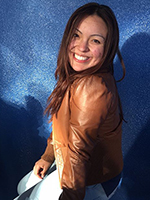 Juana is a graduate student in Biotechnology who joined the Gorodetsky Group in June 2017. She graduated with a B.S. in Public Health from American University and minored in Biochemistry and Mathematics. Juana previously worked as a PRA doing clinical research with inner-city asthmatic children under Dr. Andrew Liu. 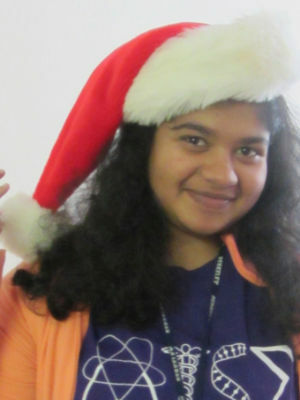 She is currently supported through the Gates Millennium Scholars program. Her current research focuses on studying the stimuli-dependent aggregation behavior of reflectins. 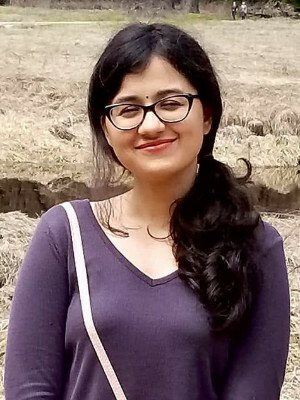 Preeta is a graduate student in Chemistry who joined the Gorodetsky Group in January 2018. She graduated with a B.S. - M.S. in Chemistry from National Institute of Science Education and Research, Bhubaneswar, India. She previously worked on the synthesis and photophysical studies of organoboron complexes for applications in OLEDs. Her current research interests include development of bio-inspired functional materials and reconfigurable thermal adaptive materials. 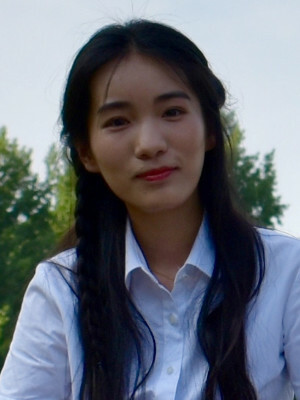 Yujia is a graduate student in Chemical Engineering, who joined the Gorodetsky Group in November 2018. She graduated with a B.S. in Chemical Engineering from the Dalian University of Technology. She previously worked on the design of a heterogeneous hypervalent iodine reagent based on metal-organic-frameworks. Her current research focuses on bioinspired materials and bioelectronic devices. 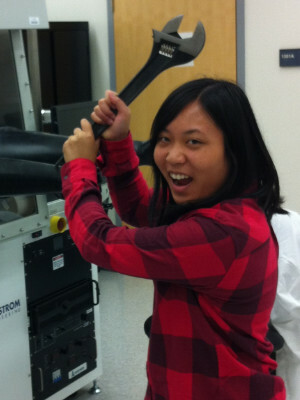 Huiting is a graduate student in Materials Manufacturing Technology, who is currently rotating in the Gorodetsky Group. He graduated with a B.S. in Materials Science and Engineering from Wuhan Institute of Technology. 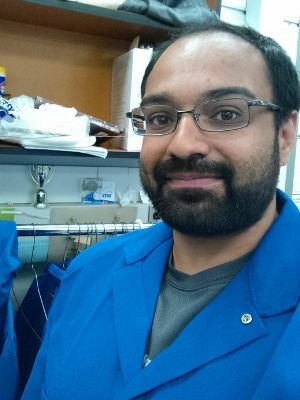 He previously worked on the development of a water-borne acrylate fire-retardant coating and synthesized biphenyl bridged tetraperylene diimides. His current research focuses on the synthesis and characterization of bio-inspired materials.